Journey to Churchill is an award-winning exhibit dedicated to the terrain, wildlife, and culture of Churchill, Manitoba – the Polar Bear Capital of the World. Last week as part of our International Polar Bear Day celebrations, Frontiers North staff visited the Assiniboine Park Zoo for a guided tour of Journey to Churchill. International Polar Bear Day is on February 27th, and we encourage everyone to participate by making small changes to help secure a future for polar bears. Learn more by reading our International Polar Bear Day blog. Join us on a tour of the award-winning Journey to Churchill exhibit. Fun fact: did you know the designers of this exhibit traveled to Churchill with Frontiers North. 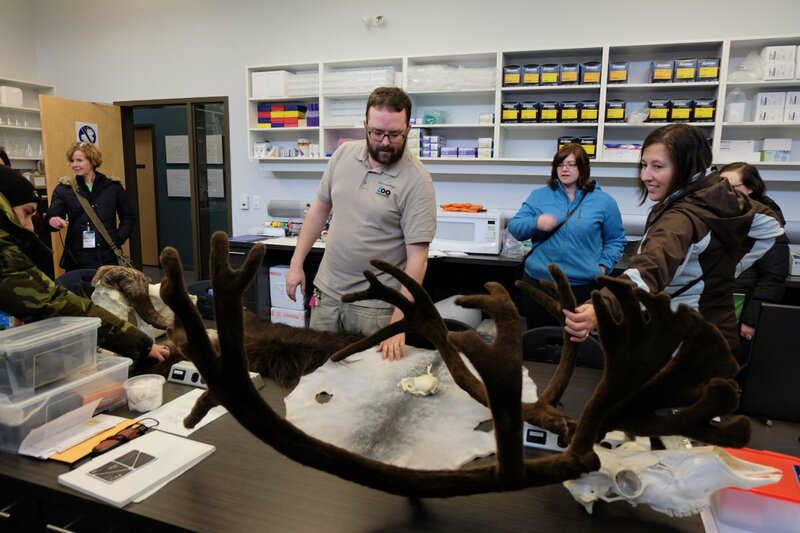 They spent time at our Tundra Buggy Lodge and out on our Tundra Buggies exploring the vast tundra landscape and getting inspiration for their exhibit design. Journey to Churchill is an exhibit dedicated to the subarctic terrain, wildlife, and culture of Churchill, Manitoba – the Polar Bear Capital of the World. 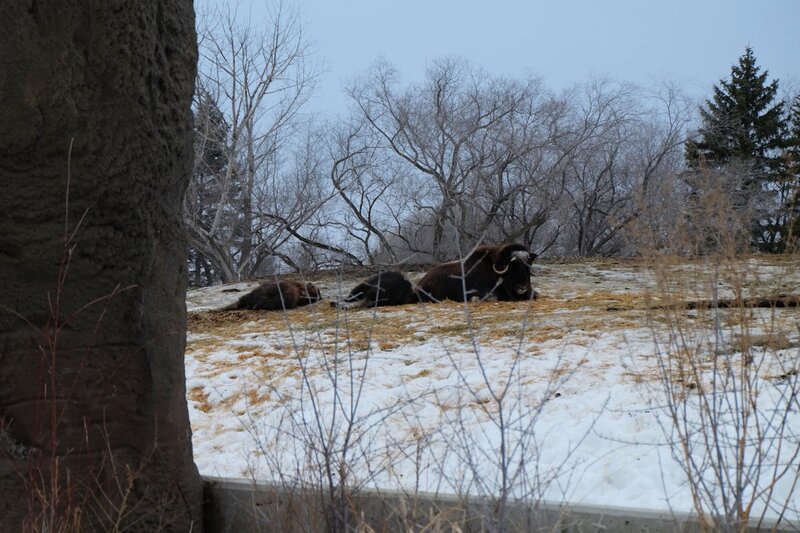 The 10-acre exhibit includes polar bears, muskoxen, wolves, and other northern species. The guided tour of the Journey to Churchill takes you through five distinct areas of the exhibit. The Wapusk Lowlands begins with a towering Inukshuk, welcoming visitors to the exhibit. This is a great place to stop for a photo – just like the Inukshuk on the edge of the Hudson Bay in Churchill. In this area you will see snowy owls, arctic fox, muskoxen and even wolves. This area is designed with no visible barriers, allowing visitors to view multiple species across the vast Arctic landscape. This portion of the exhibit is the most popular as it is the primary viewing area for seals and polar bears. 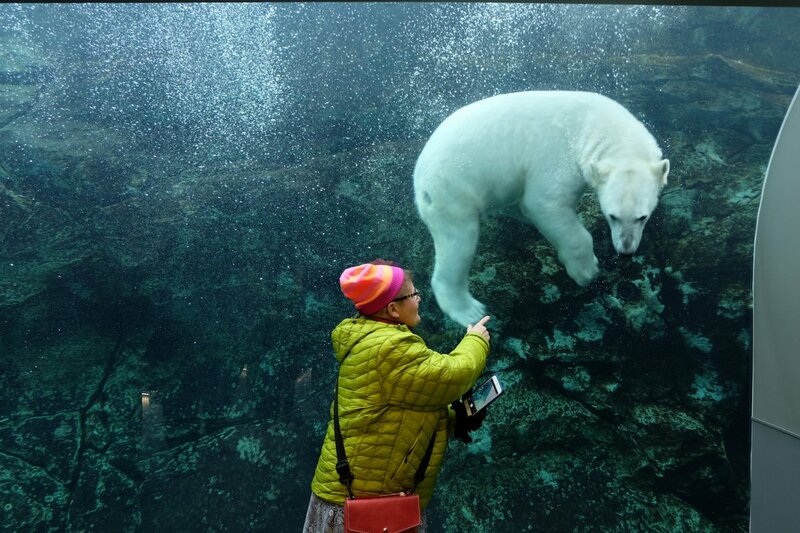 Get up close and personal in the underwater viewing tunnel, known as the Sea Ice Passage, where visitors can view polar bears swimming above while seals dive nearby. With only a clear wall between the polar bear and seal areas, the two animal species can smell and see each other, creating a dynamic and enriching environment. We recommend visiting this area in the morning, as that is when polar bears are most active and playful. This theater is located inside the Gateway to the Arctic building. 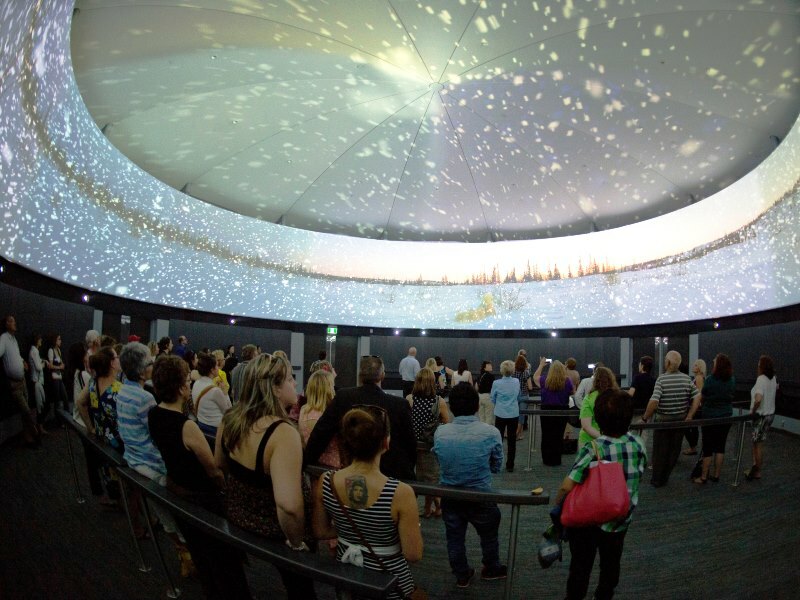 An eight-minute Rhythms of the North video is projected onto the wall in a 360 degree horizon, completely immersing visitors in the seasonal beauty of the Arctic. Visitors will learn about the people and wildlife of the north and how the changing Arctic climate is affecting all of those who call the Arctic home. The Churchill Coast is the grand finale to Journey to Churchill. Visitors will feel as though they have been transported to Churchill, Manitoba, with iconic facades resembling the frontier town located over 1,000 kilometers away. Stop for a bite to eat at the Tundra Grill and watch polar bears playing in the adjacent exhibit. Kids of all ages will love the adjacent Polar Playground which is uniquely designed as a polar-themed wonderland of active participation. The LIPBCC is a hub for environmental and wildlife education, research and conservation. 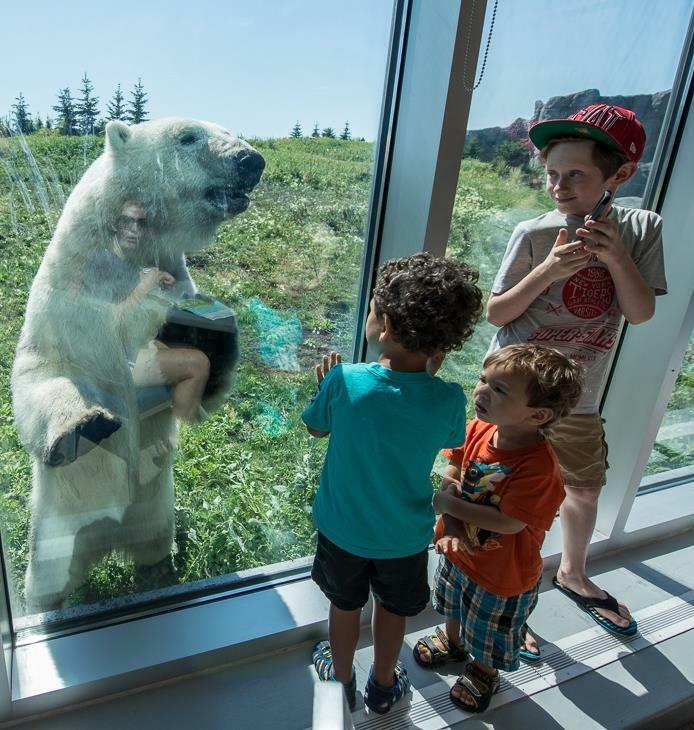 This state-of-the-art facility ensures Manitoba remains a centre of global influence in polar bear conservation and provides a unique experience for Manitoban families and visitors alike. 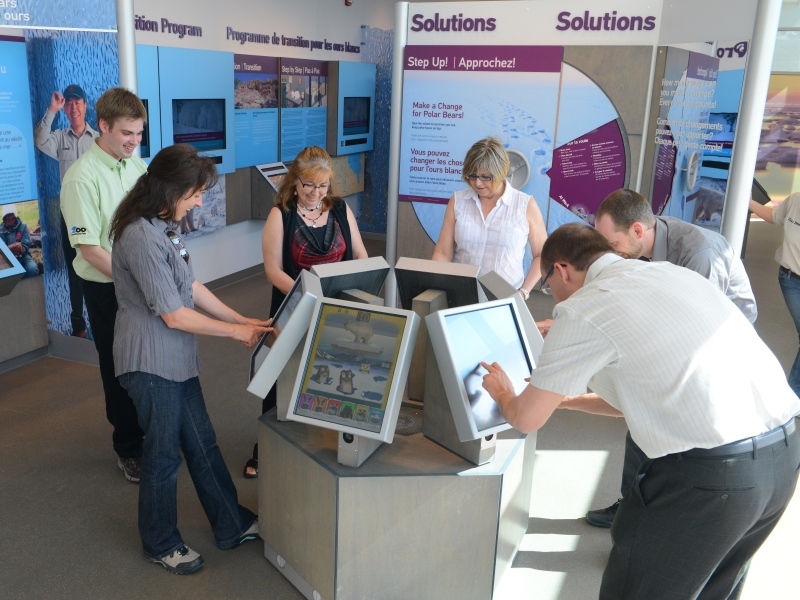 The Journey to Churchill tour includes a stop at the interactive interpretive centre to learn about polar bears, the Arctic ecosystem, climate change, and what you can do to reduce your impact on our environment. Behind-the-scenes at the LIPBCC lab. Learn more about the Assiniboine Park Zoo or contact us to ask about how you can add it onto your adventure to Canada's North.